An unfavorable home appraisal could derail the deal for a borrower seeking a Federal Housing Administration loan. The FHA insures loans funded by participant lenders, reimbursing them in the event the borrower fails to pay off the loan. Sub-standard properties are a leading cause of borrower default, which makes FHA lenders scrutinize the prospective collateral. An FHA appraisal is completed on most FHA deals and poor results typically indicate a home is overpriced or that it needs many repairs. The Department of Housing and Urban Development oversees FHA's programs. As a national authority on housing, HUD sets stringent minimum property standards which lenders adhere to for insurance endorsement. The FHA valuation process involves an appraisal with two main components: a comparative market analysis and physical inspection. Completed by a HUD-approved appraiser, the report is intended to benefit the FHA lender and HUD; however, its results may also prove useful to the buyer by pointing out areas of concern. The appraiser compares the home with similar properties in the surrounding area. An appraisal may reveal the home's value is less than that of nearby homes comparable in size, age, use and condition. In such cases, the lender deals with the deficiency by reducing the loan amount. This requires the borrower to contribute more than the minimum down payment of 3.5 percent. A value reduction can lead to a price reduction if the borrower can renegotiate a price that is more in line with the FHA-appraised value. 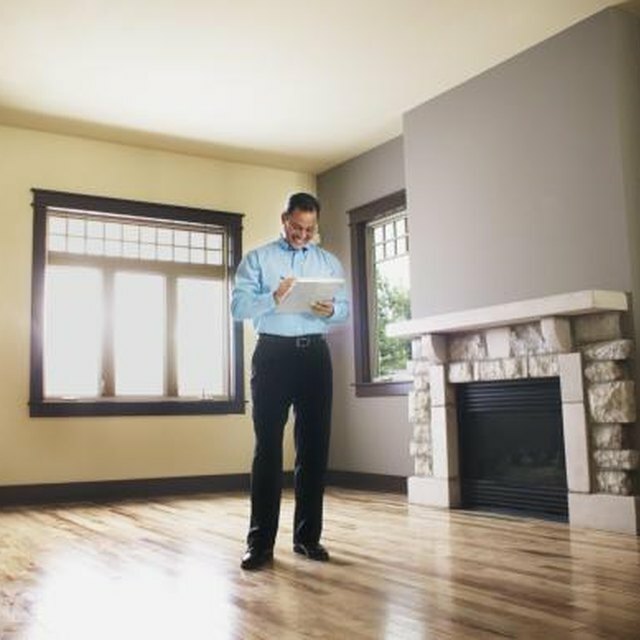 Signs of health, safety and structural deficiencies that may affect occupants or marketability can cause appraisers to recommend further inspection of a home. For example, an appraiser finds water stains in certain areas of the home and recommends that a professional plumber or roofer inspect the home to discern their nature. The lender may require the full results and repair of the trade persons' findings as a condition of financing. A home in need of extensive repair, such as a cracked foundation -- in which the cost of repairs are substantial -- may qualify for a different type of FHA financing loan as the 203(k) rehab loan. Rehab loans allow the borrower to finance the cost of improvements in addition to the purchase, with a single loan. Can Home Appraisers Talk to the Homeowner? The appraiser may reconsider the value of an appraised property if the FHA lender determines sufficient evidence exists to support a higher value. A terrible appraisal does not automatically qualify for the reconsideration process. The request must contain photos of comparable properties that the appraiser may have overlooked, which were available at the time of inspection. For example, a home that sold after the appraisal may not be used as a comparable property in the reconsideration process; but a sale that occurred before the inspection that was not published or readily available to the appraiser may be considered.